Following the lawsuit over pollution from Volkswagen’s diesel vehicles, Volkswagen created the “Electrify America” program. Electrify America will invest $2 billion over 10 years to increase Zero Emission Vehicle infrastructure and education. 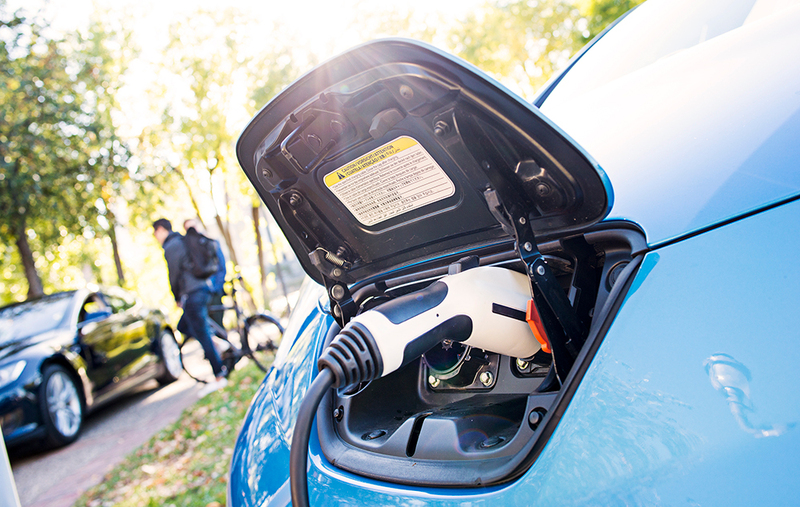 Responding to Electrify America’s recent call for proposals, a variety of Minnesota EV organizations came up with good ideas to increase EV use. Drive Electric Minnesota provided a summary of all the efforts in the state. Planning and implementing a state charging network: Minnesota currently has numerous charging stations, including an emerging network of DC fast chargers. The state Departments of Transportation and the Pollution Control Agency are in the process of developing a comprehensive EV roadmap to enhance the existing charging network with plans for DC fast charger corridors, destination charging, workplace charging, and multi-family charging. Drive Electric MN has proposed to work collaboratively with Electrify America and our partners to share data, identify ideal sites for new installations, facilitate connections with private developers and electric vehicle supply equipment (EVSE) providers, and identify sources of local matching funds to get more projects built with limited resources. Brand Neutral Education and Outreach: Drive Electric MN and our partners have been working since 2010 to develop, implement, and gradually expand a brand neutral education and outreach program to increase EV adoption. Our website (driveelectricmn.org) serves as the center of this effort, connecting with all EV organizations and resources in the state. Drive Electric MN has proposed to work collaboratively with Electrify America to enhance brand neutral education and outreach efforts by building on existing comprehensive state strategies, including outreach to fleets, corporations, local governments, auto dealers, individual consumers, and partnerships with utilities. Drive Electric MN’s proposal is designed to provide an overview of the collaborative activities underway in the state along with opportunities for further collaboration with Electrify America. Current partners of Drive Electric MN include: American Lung Association in Minnesota, Center for Energy and Environment, ChargePoint, Connexus Energy, Dakota Electric Association, Fresh Energy, General Motors, Great River Energy, Kline Nissan, Minnesota Auto Dealers Association, Minnesota Department of Commerce, Minnesota Plug In Vehicle Owners Circle, Minnesota Pollution Control Agency, Minnesota Power, Nissan North America, Otter Tail Power Company, PlugIn Connect, Xcel Energy, and ZEF Energy. If your organization is interested in partnering with Drive Electric MN, contact us at info@driveelectricmn.org for more information.